Industrialist Pawan Ruia's (think Dunlop and Jessop) arrest this month for cheating and criminal breach of trust marked a new low, but the tide had been turning against him for a while now. Ishita Ayan Dutt & Avishek Rakshit report. Pawan K Ruia, rarely seen without vermilion on his forehead, is "turnaround tycoon", reads the website of his business group. On Saturday (December 10), when the West Bengal Criminal Investigation Department swooped down on him at his residence in New Delhi, the tycoon finally fell to earth. Ruia has been booked for cheating and criminal breach of trust after a complaint was lodged by the Indian Railways last month. It said that goods and equipment worth Rs 50 crore belonging to the Railways had been kept at a unit of Ruia's Jessop, the wagon maker, and went missing. 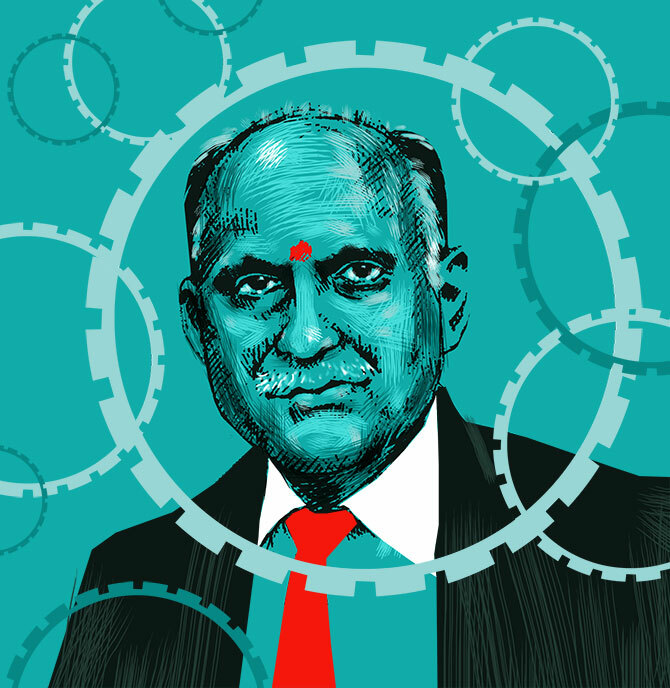 For Ruia, the arrest may have marked a new low but the tide has been turning against him for a while now. Tycoon is a title that Ruia landed easily when he acquired Jessop & Co as part of the National Democratic Alliance government's disinvestment programme in 2003. And the "turnaround tycoon" tag came within a year of that as Jessop turned profitable. By the time Ruia bought Dunlop in 2005 from the family of deceased businessman Manu Chhabria, outbidding the Singhanias of JK Tyre and Munjals of Hero, he had also become a "takeover tycoon". That's because along with Dunlop, Ruia had also acquired Falcon Tyres from the Chhabria family, and the following year, Monotona Tyres from Dipak Poddar. State-owned Tyre Corporation of India and Mining & Allied Machine Corp, which were on New Delhi's divestment list, were also on his radar screen. Ruia's reputation as Kolkata's turnaround tycoon got fortified when in 2007 he took Dunlop out of the purview of the Board for Industrial and Financial Reconstruction. Those who know him, however, say that it was wily paperwork that brought Dunlop out of the BIFR's clutches. Former labour minister and now agriculture minister in the Mamata Banerjee government, Purnendu Bose, even goes to the extent of calling it "unconstitutional". What Ruia did was that he got the company's real estate -- spread across Sahaganj, Ambattur and Mumbai -- valued. It worked out to around Rs 900 crore. The real estate was transferred to other Ruia companies that issued shares to Dunlop, which booked it as other income. The net result: after 12 years, Dunlop reported a net worth of Rs 151.82 crore, up from a negative net worth of Rs 261.15 crore the previous year. Taking Dunlop out of BIFR shored up Ruia's credibility. It gave him the confidence to plan big, and any asset on the block became an acquisition target for him. In 2008, Ruia's first overseas acquisition happened when he took over UK-based Metzeler Automotive Profile Systems, an automobile component maker. In 2009, he acquired Draftex, a supplier of automotive sealing systems to car makers in Germany. The size of the foreign acquisitions mostly remained undisclosed. The big one came in 2010 when Ruia emerged as one of the two bidders for South Korean car maker Ssangyong. Of course, it didn't materialise -- Mahindra & Mahindra walked away with it. IMAGE: It was alleged that Pawan Ruia was never interested in Dunlop for meaningful production; he was only interested in the company's substantial real estate. Photograph: Wikimedia Commons. Even as Ruia was soaring, Dunlop began to falter. Labour problems, electricity arrears, production issues, suspension of work marred its performance. "No meaningful production has ever happened at Dunlop's Sahaganj factory. Ruia was only interested in Dunlop's real estate," says Bose. That is a recurrent allegation against Ruia. "He was never interested in running Jessop and was only interested in monetising its real estate and other assets. Jessop has 95 bighas (three bighas make an acre) in Durgapur," points out Jessop worker and employee union's general secretary, Srikumar Banerjee. "Except for a year of operational profit, even Jessop's profits were just on paper," a former top executive of the Ruia group says. A Ruia group spokesperson, however, refutes that and says from 2003 to 2010, Jessop was profitable. According to him, militant trade unions took a toll on operations. "Slogans against the company in front of its premises battered customers and creditors' confidence." Ruia's endgame started in 2011 after the change of regime in Bengal. The Mamata Banerjee government came down heavily on the Left Front government's poster boy. Till 2010, Dunlop enjoyed protection from its unsecured creditors under the West Bengal Relief Undertakings (Special Provisions) Act, which was not renewed by the new government. In 2013, the Calcutta High Court directed the winding up of Dunlop, a ruling challenged by Ruia in the Supreme Court. The apex court had then stayed the order. In December 2015, however, the Calcutta High Court came down heavily on the company and instructed it to wind up. Finally, ahead of the assembly elections in Bengal, earlier this year, the government enacted two Bills to take management control of Jessop and Dunlop. The overseas ventures too didn't get anywhere. In 2011-12, Draftex, Schlegel (formerly Metzeler Automotive Profile Systems) and Turkey-based Standard Profil were sold off. Even as group companies were struggling to stay afloat, Suryamani Financing, a Ruia group company, had applied for a banking licence. He was confident of getting it too. As a former Ruia group executive points out, in the end, the chartered accountant in him flourished as the industrialist floundered. Was Pawan Ruia cosying up to Modi? 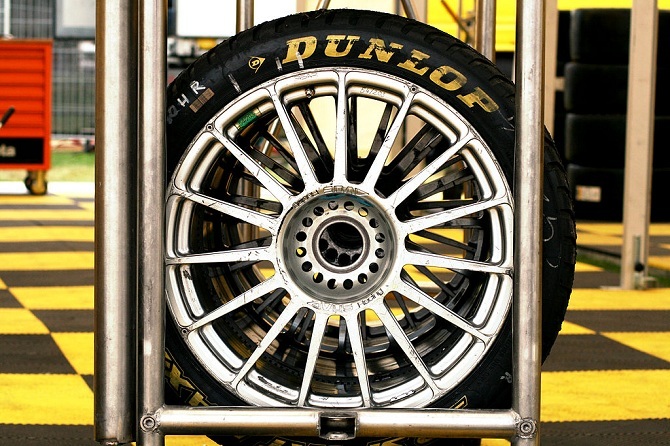 Has Dunlop left its best days behind?